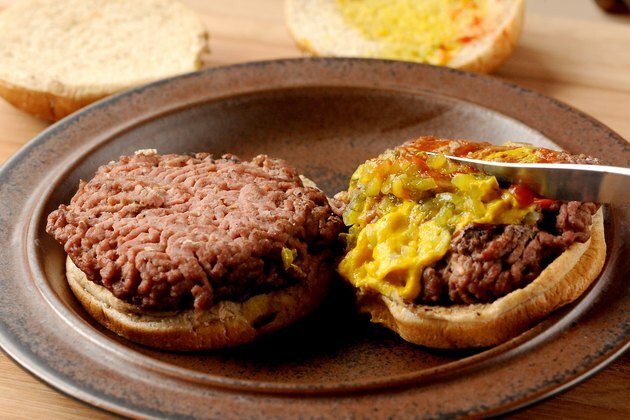 Reheating hamburgers can be tricky, depending on whether you are trying to reheat entire sandwiches or just patties and what type of heat source you have. Reheating entire sandwiches can result in hard bread and cold meat, while high heat can cook, rather than heat, patties. 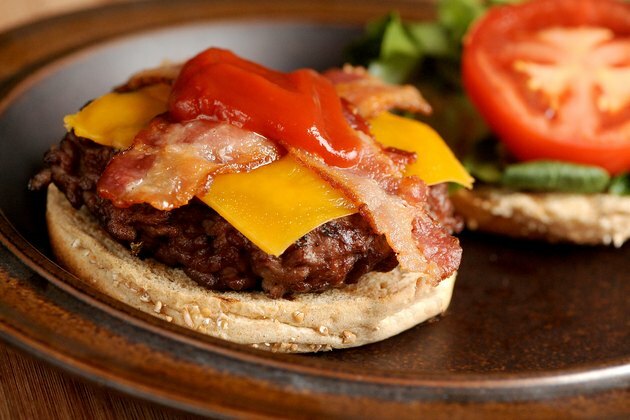 To make sure you don't dry out your meat or end up with partially heated sandwiches, follow a few basic tips for properly reheating hamburgers. Prepare the hamburgers for reheating by letting them get to room temperature. You should not leave cooked hamburger at room temperature for more than two hours, explains the Food Safety and Inspection Service. This will help prevent food-borne illness. Wait until sandwiches get to room temperature before trying to separate the buns, condiments and meat if you are reheating whole sandwiches, rather than just patties. 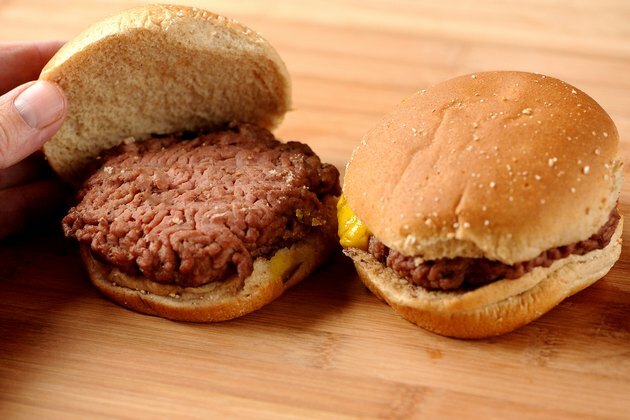 Cold buns may stick to patties and tear when you try to remove them. Remove buns and any condiments when the sandwiches are at room temperature. 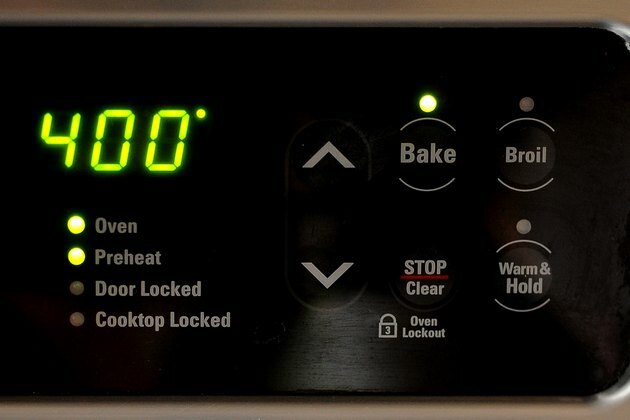 Set your oven to 400 degrees. 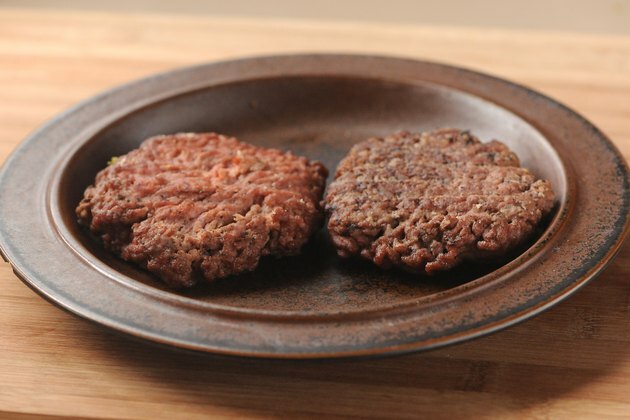 At room temperature, hamburger patties will reheat quickly before they start cooking. Place the patties on a metal rack and place over a baking sheet if you want excess fat to drip away. Let the patties heat for three minutes, then turn, finishing for two more minutes, depending on the thickness of the patties. Add the buns when you turn the hamburgers if you are reheating sandwiches. 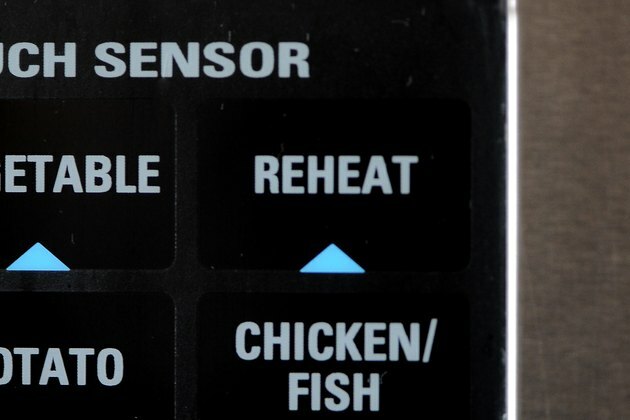 Set your microwave to the reheat setting. This will warm the patties from the outside, rather than cooking them from the inside. Place the patties on a microwave-safe plate. Place in the oven for one to two minutes, depending on their thickness, then flip. Press a patty gently with your finger to see if it is hot on the bottom. If it is, it is finished reheating. If not, reheat patties for another 30 to 60 seconds, depending on how warm they were after the first minute. Sliders will take much less time, usually a minute or less. 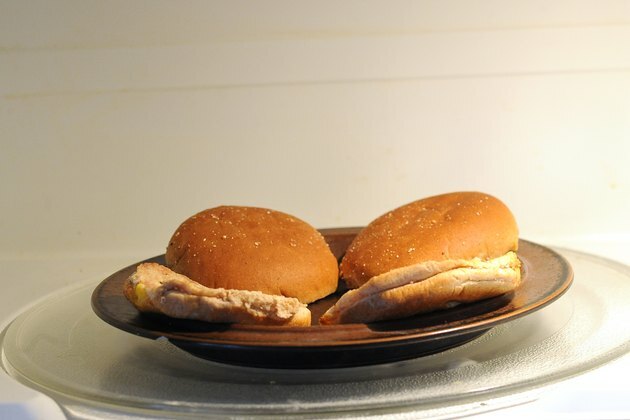 Remove the patties from the microwave and place the buns in to heat for 20 to 30 seconds. 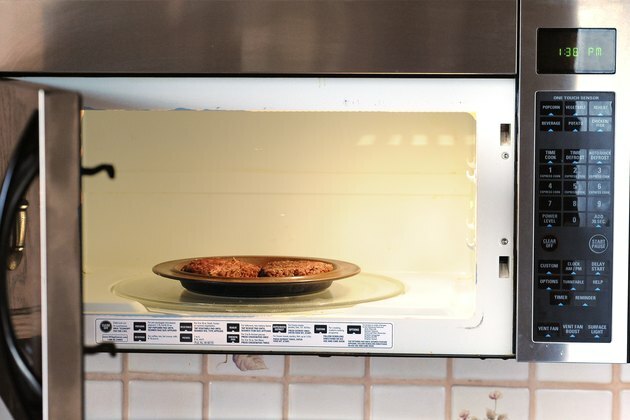 Bread will quickly overheat, especially on a high setting, becoming hard and crusty within minutes of removal from the microwave. If you are using a high setting, do not put the buns in for one minute and walk away; within 15 seconds, they should be done. 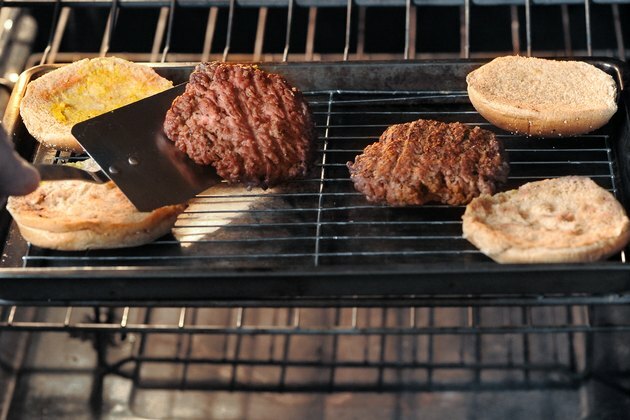 Start your grill and let it get to medium high heat if you will be using a grill to reheat your burgers. The higher the heat, the less time you will need for thinner patties or rare burgers. Place the patties on the grill and let reheat for approximately one minute. 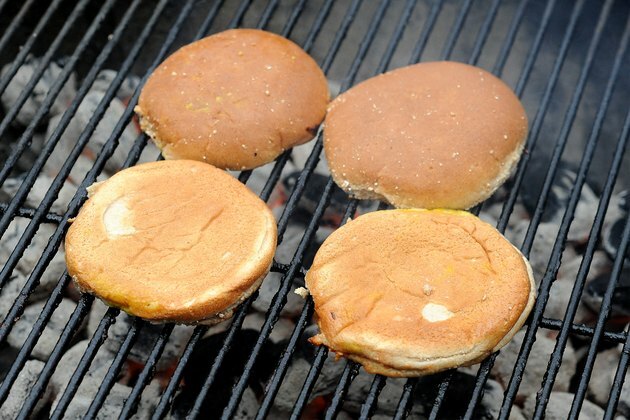 Do not press the patties to prevent grease from igniting flames, which can char the meat. 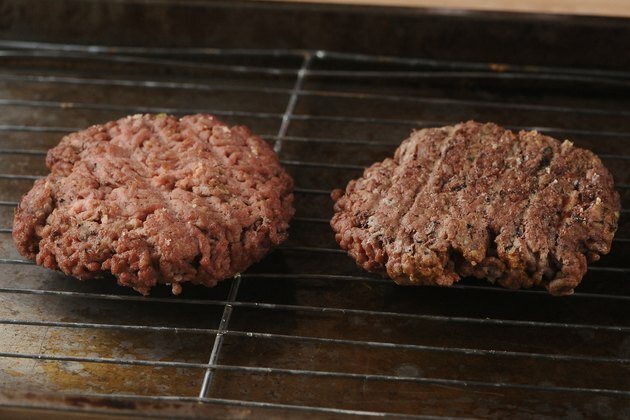 Pressing patties also releases natural juices, causing a dry burger. Flip the burgers and place the buns, cut side down, on the grill. 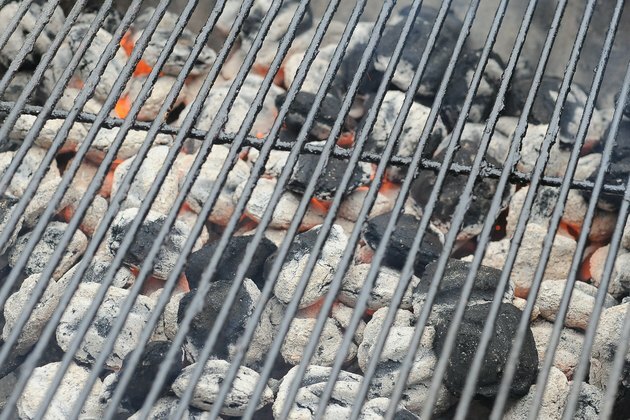 Finish heating the burgers for one more minute, depending on the temperature of your grill. Add cheese after you turn the patties and cover with a pan lid. This will help the cheese melt faster, preventing overcooking. Offer additions for the hamburgers, such as sliced tomatoes, lettuce and grilled peppers. 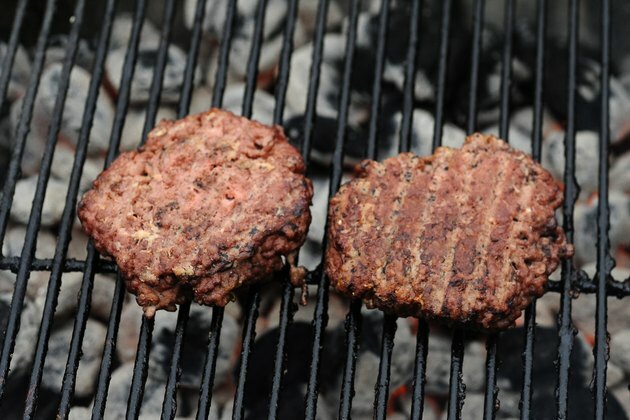 The U.S. Department of Agriculture recommends reheating hamburger patties to an internal temperature of 165 degrees Fahrenheit.